You sidle up to the bar and order your Jack Daniel's neat with water on the side, while the person next to you wants his Jack Daniel's "Sinatra Style." 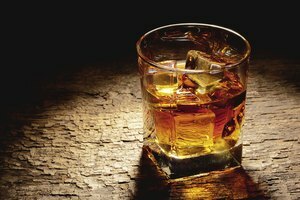 A good bartender knows the difference, and the door is open for a discussion of the variety of ways to drink this Tennessee whiskey and what distinguishes it from other whiskeys – even bourbon, which it's not. Is there a best way to drink Jack Daniel's? The answer lies with your taste buds and what you expect from your whiskey at any given time. 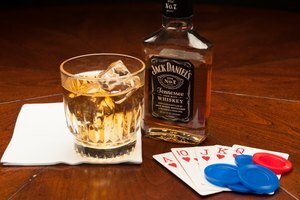 But let's start with what makes Jack Daniel's Jack, or more familiarly known as JD. Now that the bartender is probably quaking in his shoes, order your Jack Daniel's neat with water on the side. Then pull a tiny liquid dropper from your pocket, fill it with some of the water and squeeze one or two drops into your glass. You have now taken your glass of Jack into the realm of smoothness by opening up the flavor of this Tennessee gold. It's what makes drinking a glass of Jack Daniel's a pleasure. By this time, you've probably drawn the attention of others at the bar, making you not only the grammar police, but a true Jack Daniel's aficionado. Swirl the rich, amber whiskey in your glass, raise it to the bartender and take another sip. Close your eyes as you relish your well-earned, end-of-the-day reward because to all around you, you're the man! Every distillery has its prized formula for crafting its brew. Jack Daniel's uses a combination of rye, corn and barley in its mash and then distills it over charcoal. Further mellowing occurs when it's dripped through 10 feet of hard sugar maple charcoal, creating the smoothness you've come to expect, and imparting the taste that distinguishes this Tennessee whiskey from Kentucky's bourbon or whiskies. And don't forget the water. Most distilleries take pride in the source of their water, and Jack Daniel's is not an exception. Lynchburg, Tennessee's 2-mile-deep limestone spring water supply is tapped daily in the creation of Jack Daniel's whiskey. The resource, known as Cave Spring Hollow, was purchased by the distillery's founder, Jack Daniel, for very little money. Today the producers draw 800 gallons of pure water every minute from the cave. The limestone cave cleanses the water; no iron is present, and the water itself surfaces at a constant 56 degrees Fahrenheit. The pride of many distilleries is the water source, and Jack Daniel's Cave Spring Hollow is the embodiment of pure spring water. That's what all bottles of Jack Daniel's are made with, helping the distillery solidify its standing as America's best-selling whiskey. In the lexicon of alcoholic spirits, the word neat has come to refer to being simply poured from the bottle. No mixer. No ice. No water. And since the bottle sits on a shelf, it comes out at room temperature. No cellar temperature here. And don't order your Jack straight. That term is used with other spirits, such as tequila. Neat has a sophisticated ring to it when ordering whiskey. It sends out vibes of a learned drinker who appreciates what comes out of the bottle. He doesn't want it diluted or mixed, and sips slowly to savor its mellow flavor. This, however, isn't meant to disparage the connoisseur who prefers his Jack Daniel's in one of a variety of other pours popular with the whiskey set. A glass of Jack neat arrives in a highball glass, where the whiskey doesn't have to travel far to reach your palate and where taste and flavor merge. Ordering it on the rocks means the bartender plonks a few cubes in the glass before pouring. 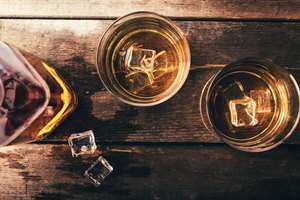 Straight up whiskey drinkers like a taller glass and their whiskey poured over ice, so the ice dilutes the flavor. Three ice cubes. Two fingers of Jack Daniel's. One splash of water. All in one glass. That's how Frank Sinatra drank his Jack Daniel's throughout his life. His formula became so well-known that a good bartender knew exactly what to do when a customer ordered his Jack Sinatra Style. In tribute to Sinatra, and honoring him for his devotion to the whiskey that helped to popularize its product, Jack Daniel's company tinkered with the aging formula to craft a brew with the textures so smooth they became synonymous with Sinatra. The Sinatra Select bottle of whiskey is the result of cutting extra-deep grooves in the aging barrels, exposing the whiskey to even more layers of the toasted oak interiors. This process adds depth of color and intensifies the smoothness of the nectar. Kind of like its namesake. The labeling of Jack Daniel's original formula as No. 7 remains a mystery as to why that number was selected. The truth went to the grave with the distillery's founder. But Old No. 7, as the label reads, is the standard blend for this Tennessee whiskey. The smooth, mellow taste of Old No. 7, coupled with its 80-proof rating gives rise to mixing it, diluting it and adding additional flavors. One of the first mixers used with Jack Daniel's was Coca-Cola. Topping off a shot of the whiskey over ice with the cola added sweetness and blended the caramel flavor of the cola with the vanilla taste of the whiskey. Today, it's still requested by whiskey drinkers around the world. Cherry Coke and other cola mixes are also favorites. Effervescent club soda mixed with Jack Daniel's yields a refreshing drink. Fill a tall glass with ice, add Jack Daniel's and top it off with the club soda. Just adding a drop of the club soda also changes the intensity of the whiskey and is best done in a lowball glass with little or no ice. A trick of those who want the coolness that ice adds but don't want the dilution is to use a frozen ice ball in the glass. An Old Fashioned made with Old No. 7 Jack Daniel's, simple syrup and Angostura bitters is a blend that is older than the Tennessee distillery itself. The smoothness of the whiskey and the simple syrup adds a dimension that doesn't come out of the bottle. The dash of bitters shocks the mix, adding an herbal touch. Tradition aside, ordering an Old Fashioned with Jack Daniel's No. 7 will put a smile on your Dad's face. The Manhattan is another Old No. 7 blend that brings visions of New York's Plaza Hotel's Oak Bar or the legendary St. Regis Hotel's King Cole Bar. All are sophisticated, but only one has country roots. Ice, sweet vermouth, Angostura bitters and a swish of an orange peel are all it takes to turn Jack Daniel's into a city slicker. As a kid lying in bed, shivering with the aches, pains and chills of a flu, we welcomed a hot toddy and felt that the warm whiskey and honey would soon make us well. And maybe it did. As we got older, we came to appreciate the warming taste of the toddy, whether we fell out of a snowstorm and into our favorite bar or skied down a slope toward the warmth of a hot drink. There's something about the whiskey and honey blend, the hot water and the twirl of a cinnamon stick that rings cozy and safe_._ So much so that the distillery's Tennessee honey is now on the market. Not content to let Jack Daniel's Old No. 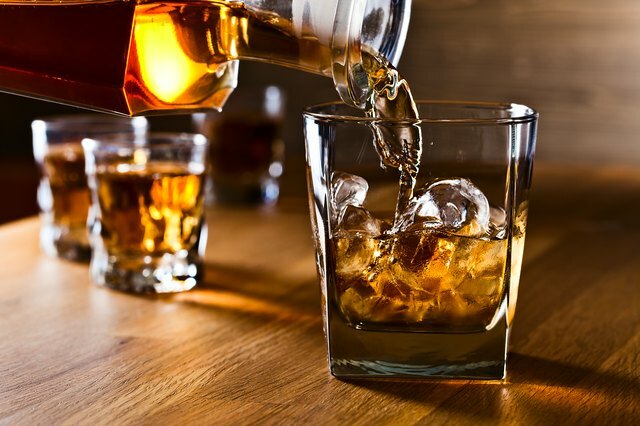 7 rest on its laurels, mixologists, and even the distillery itself, started experimenting with taking the smooth, mellow whiskey and making it appealing to all ages and to the taste buds of both sexes. Known as a manly drink that went down smooth and strong, and warmed the cockles in cold weather, mixes were added to appeal to warm-weather drinkers and women as well. Apple juice, ice and Jack are refreshing, as is lemonade when added to the whiskey. For berry lovers, lemon-lime soda topped with a drizzle of Chambord raspberry liqueur adds an exotic twist to the drink. This evolution of mixes tweaked the brains behind Jack Daniel's, and new blends were added to the product line. The red label on the Jack Daniel's traditionally shaped bottle is the first indication that something intense is coming your way. Answering the call for a ball of fire in the mouth, spiced cinnamon was added to the original blend, and Tennessee Fire was born. Don't let the smooth start of the drink fool you and lead you to another sip before the spiced cinnamon does its job. You'll be breathing fire sooner than you think. Like all producers, adding to the product line is a way of appealing to new tastes. Just look at the number of beers on the market. The same holds true of whiskey, and the Jack Daniel's distillery is keeping up with the times. Recent additions include Country Cocktails, a pre-mixed line of drinks all packaged in beer-bottle sized containers. Watermelon, peach and cherry are just some of the flavors they are now offering in blends with a greatly reduced alcohol content. Whether you drink your Jack neat, straight up or mixed, the whiskey you start with drives the taste you end up with. Whether it's the sugar maple charcoal mellowing or the limestone cave water, Jack Daniel's Tennessee whiskey has built a following spanning more than 150 years. 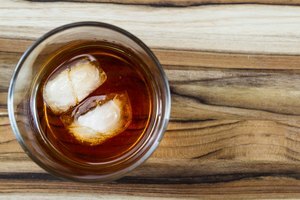 You might want to back slowly into drinking whiskey by adding ice and soda at first, but as you adjust to the taste, cut back on the soda and then the ice. Before you know it, you'll be the one at the bar ordering your Jack neat. 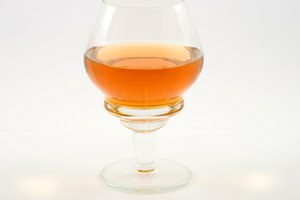 What Is the Smoothest Bourbon Whiskey?